Significant investment in Connected and Automated Vehicle (CAV) technology from industry experts and manufacturers makes it clear that automated vehicles will be a part of our future. However, current automated vehicle technology can only be effective with appropriate road surfaces, signage and line markings. ARRB can help assess your road infrastructure for CAV readiness. 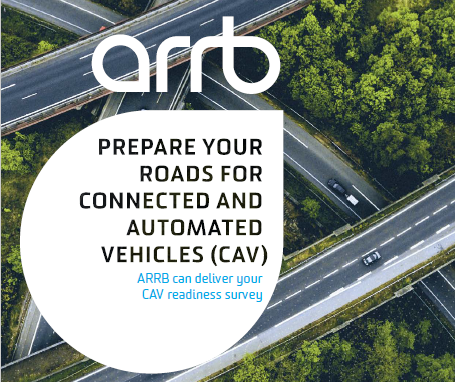 ARRB undertakes CAV readiness audits to help road managers understand the condition of their road network and assess requirements for future CAV deployment. It also simultaneously rates the condition of road attributes critical to the safe operation of all vehicles including CAVs. Line marking is assessed for its suitability to be read by vision systems used by connected and automated vehicles. Signs are identified, classified and processed real-time to generate an inventory of information including location allowing the data to be displayed spatially. ARRB network survey vehicles use machine vision technology to process images in real-time with the performance and algorithms equivalent to CAV machine vision systems. The audit results include the key attributes for determining CAV readiness: line type, width, quality, lane departure warning availability, speed limits, speed sign types and location. The outputs also apply to today’s modern vehicles equipped with Advanced Driver Assistance System (ADAS) safety features, creating safer roads for all drivers. Find out more about our CAVs readiness audits here. Contact ARRB now to arrange a CAV readiness audit.